Policymakers are trying to tackle the problem of overdevelopment in fast-growing Beijing. London: Beijing and the surrounding province of Hebei will plant trees, establish green belts and make use of rivers and wetlands to create a "green necklace" to protect China's smog-hit capital from pollution, the Hebei government said on Thursday. Beijing's reputation as a major world city has been tarnished by regular outbreaks of hazardous smog, especially during the winter, and poorly regulated heavy industry in neighbouring Hebei has been identified as one of the major culprits. Policymakers are also trying to tackle the problem of overdevelopment and overpopulation in fast-growing Beijing itself, known as "big city syndrome", and the new cross-regional plan will aim to restrict urban development on the capital's borders. The plan, which also set out new unified public service and transportation rules for Beijing and surrounding border areas, is part of the government's long-term "Jing-Jin-Ji" programme to integrate Beijing, Hebei and the port city of Tianjin. The development of separate "fortress economies" in the region was blamed for widening income disparities and causing a "race to the bottom" when it came to environmental law enforcement. 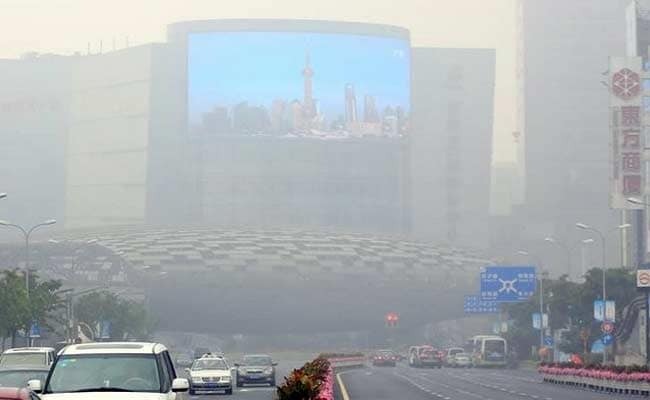 Beijing, home to 22 million people, is trying to curb population growth and relocate industries and other "non-capital functions" to Hebei in the coming years as part of its efforts to curb pollution and congestion. The city has also promised to curtail coal consumption and decommissioned its last coal-fired power plant earlier this month.